Signed first editions dominated the scene at our sale of 19th & 20th Century Literature on Thursday, November 10, and broke several auction records. 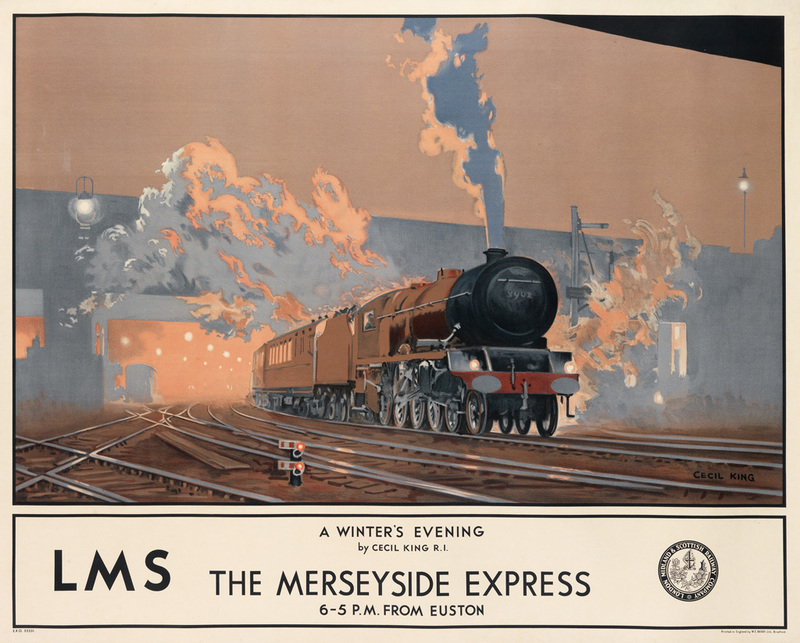 Lot 288: H.G. 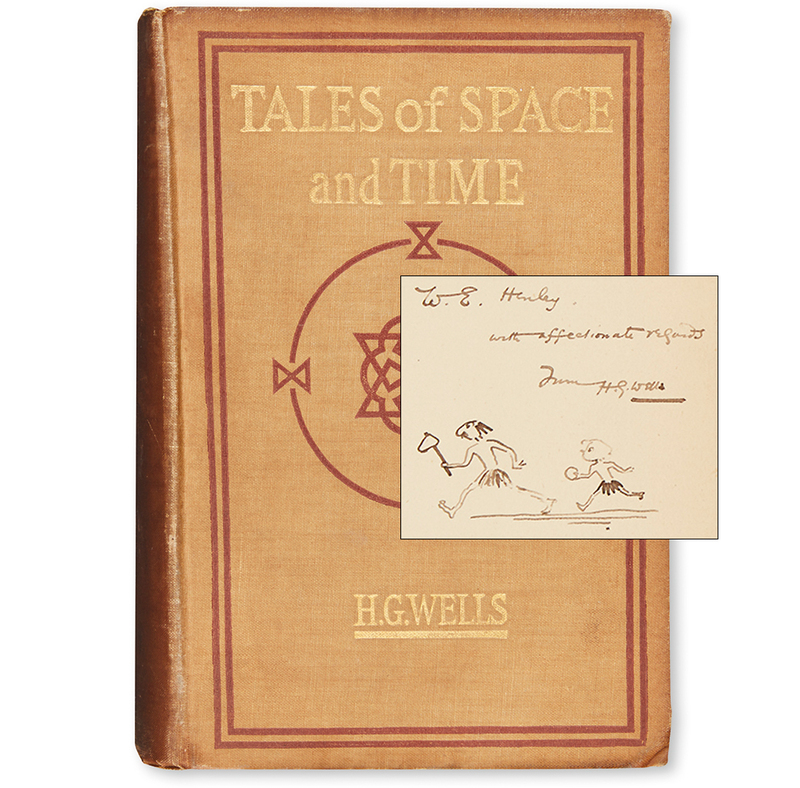 Wells, Tales of Space and Time, first edition, inscribed to W.E. Henley, London, 1900. Sold for $4,500. Each offered book by father of science fiction H.G. Wells was purchased, led by The Invisible Man, 1897. 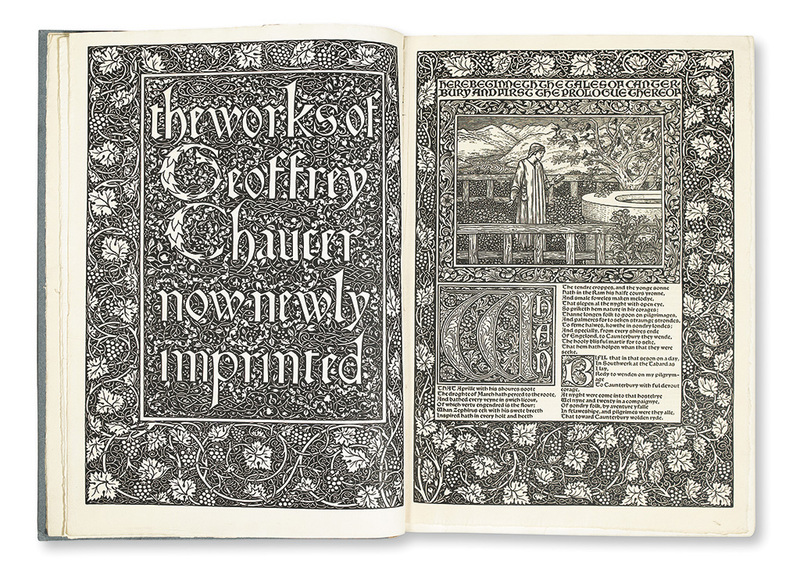 This book, which sold for $7,500, was one of several from a collection of fine first edition association copies inscribed by the author to his friend W.E. Henley, to whom Wells dedicated The Time Machine. 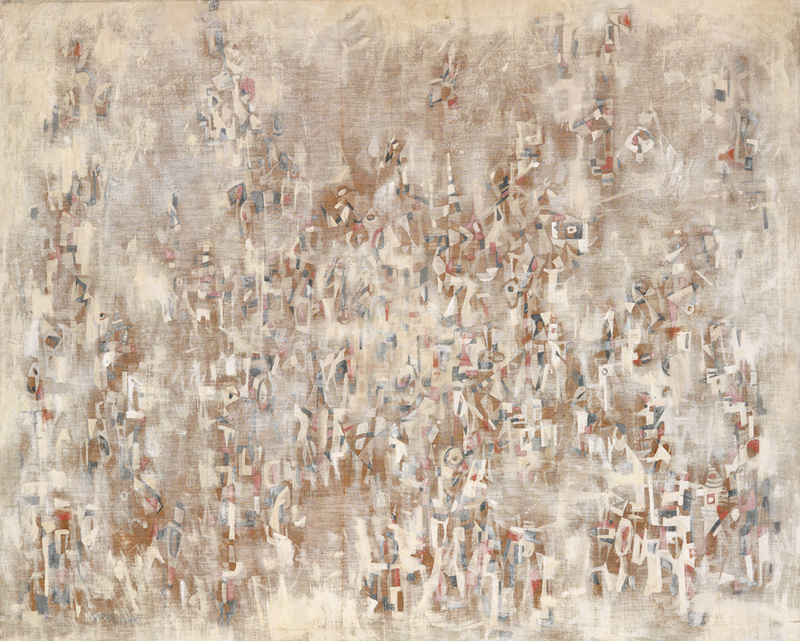 Lot 282: H.G. 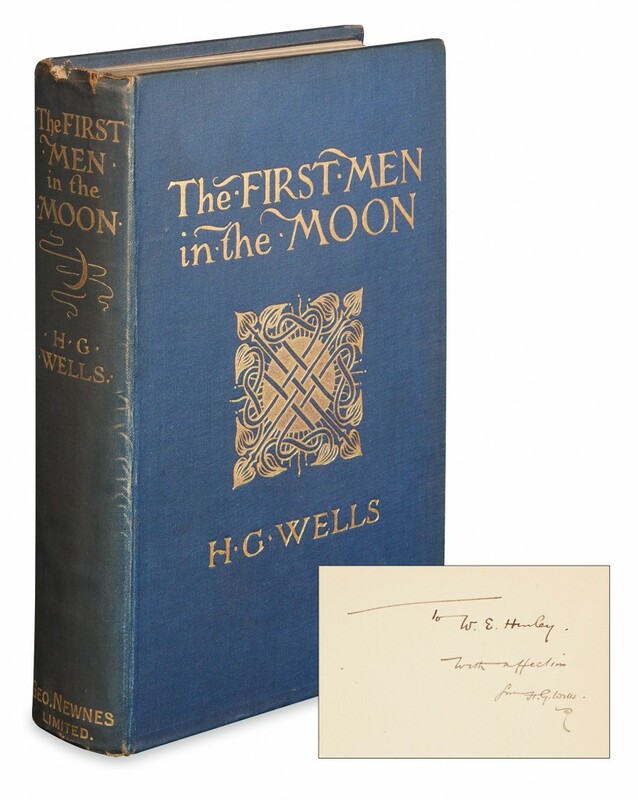 Wells, The First Men in the Moon, first edition, inscribed to W.E. Henley, London, 1901. Sold November 10, 2016 for $5,750. Other highlights from the collection included The Island of Doctor Moreau, 1896, and The First Men in the Moon, 1901, which sold for $7,000 and $5,750, respectively. Another first edition of The Invisible Man sold to an institution for $5,000. A first edition of Tales of Space and Time, 1900, was additionally embellished by an original drawing by the author to Henley: a charming rendering of Ugh-lomi and Eudena, the protagonists of A Story of the Stone Age. The book (pictures at top) sold for $4,500. Lot 40: L. Frank Baum, The Wonderful Wizard of Oz, first edition, first issue, Chicago & New York, 1900. Sold November 10, 2016 for $23,750. 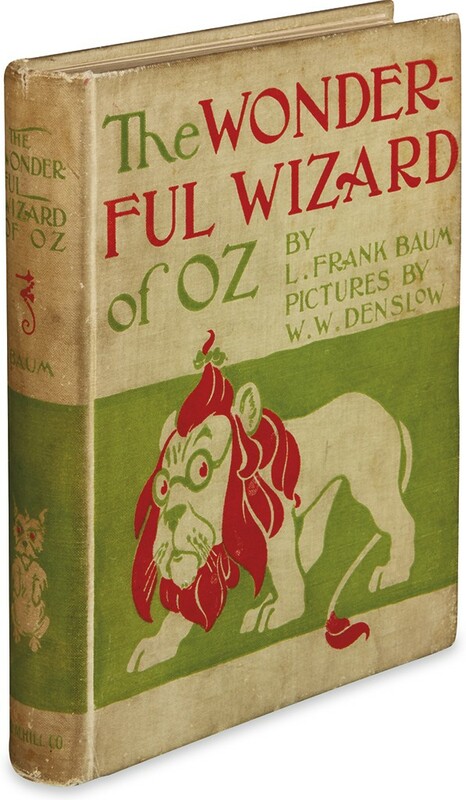 The top lot of the sale was the first issue of the first edition of L. Frank Baum’s classic, The Wonderful Wizard of Oz, 1900, which brought $23,750, more than tripling its high estimate. Other children’s literature also performed well, including a signed limited first edition of Le Petit Prince, 1943, by Antoine de Saint-Exupéry, which tied its previous auction record at $9,750. Additionally, signed presentation copies of Alice in Wonderland and Through the Looking-Glass by Lewis Carroll sold for $15,000, while a complete set of first editions of the Christopher Robin books by A.A. Milne garnered $7,500. 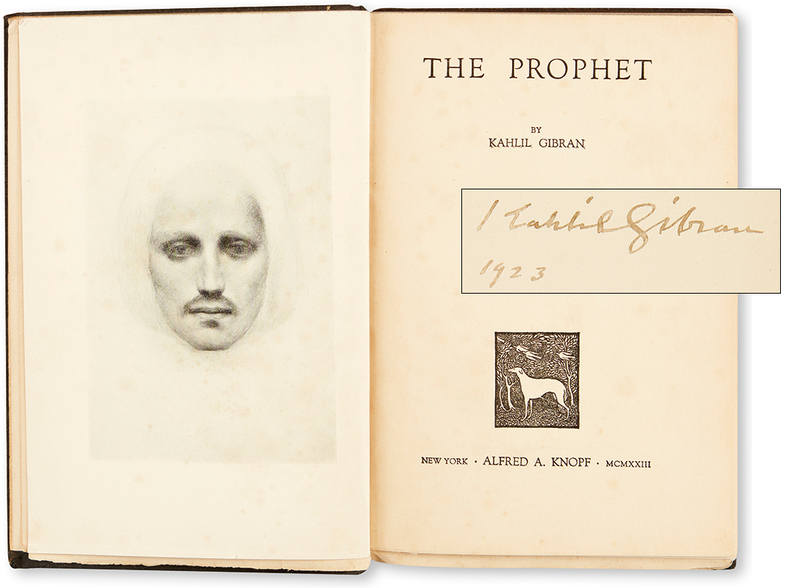 Lot 133: Kahlil Gibran, The Prophet, signed first edition, New York, 1923. Sold November 10, 2016 for $5,750. In its auction debut, a first edition signed in the year of publication of The Prophet by Kahlil Gibran sold for $5,750. The book has been continuously in print since 1923 and has sold over 100 million copies, but is rarely seen at auction. This was also the first time at auction for a limited issue of a set of ten leather-bound volumes of The Complete Works of Walt Whitman, 1902, which sold for $5,000. Lot 132: Hugo Gernsback, Ralph 124C 41+. A Romance of the Year 2660, signed first edition. Sold November 10, 2016 for $8,125, a record. 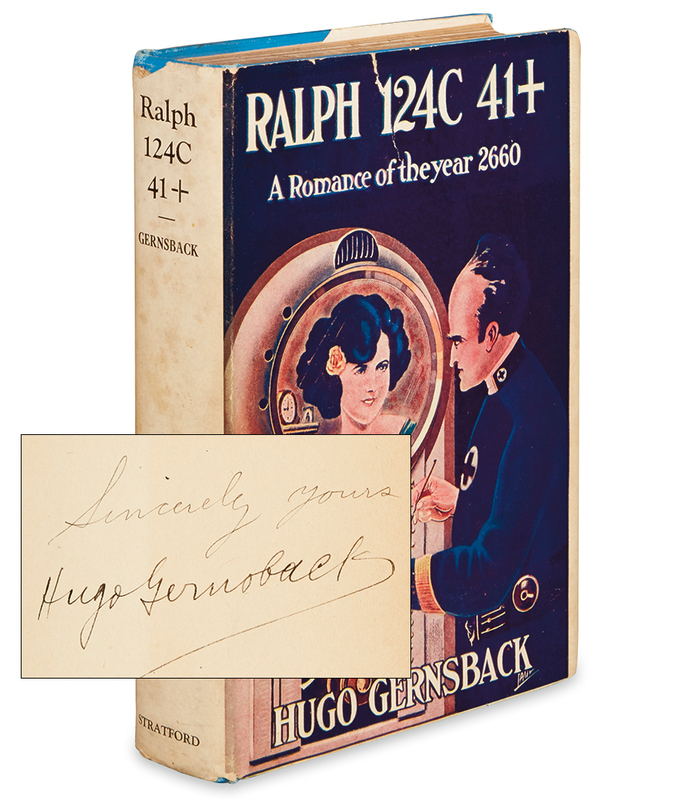 Other auction records set in the sale include that of a signed first edition of Hugo Gernsback’s Ralph 124C 41+. A Romance of the Year 2660, 1925, which sold to a collector for $8,125. The first American edition of War and Peace by Leo Tolstoy, 1886, sold for a record-breaking price of $8,125, while Fyodor Dostoyevsky’s first English edition of The Brothers Karamazov, 1912, sold to a collector for $11,250. London & Edinburgh, 1900. Sold November 10, 2016 for $16,250. 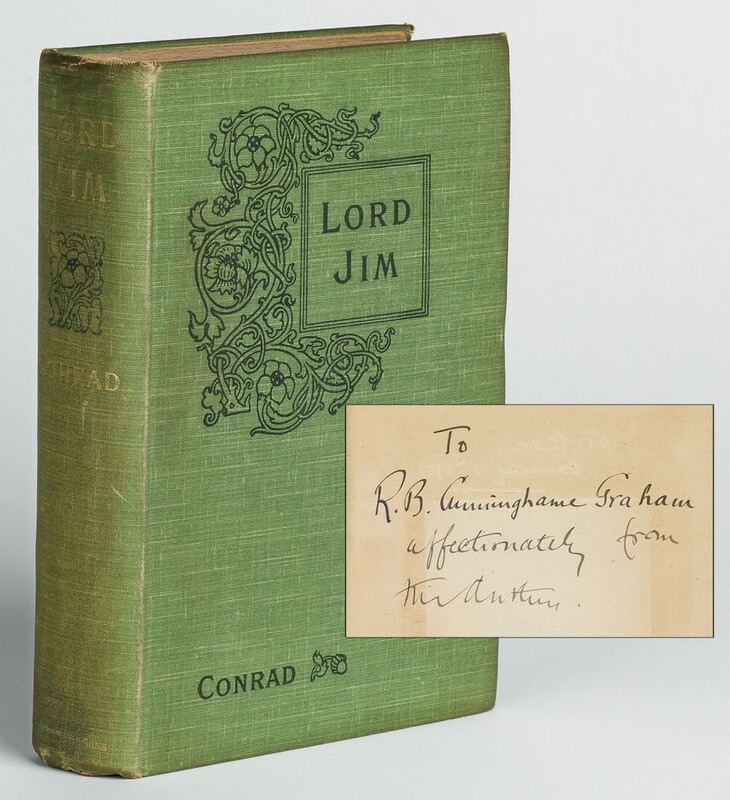 Further highlights include an inscribed first edition of Joseph Conrad’s Lord Jim, which achieved $16,250, and the true first edition of Anne Frank’s diary, printed in Amsterdam in the original Dutch in 1947, which sold after heated bidding to a collector for $12,500. The first American edition of The Adventures of Tom Sawyer, 1876, by Mark Twain also did well, selling for $13,750. The next sale of 19th & 20th Century Literature will be held in May, 2017.